Rigmar is a leading provider of inspection services to the offshore and onshore energy, maritime and civils industries. Rigmar’s inspection services are a core element of our Asset Integrity Services portfolio. Whether required for Classiﬁcation Society compliance, to detect the eﬀects of corrosion or fatigue, to ensure that rigging and lifting equipment is ﬁt-for-use, or to safeguard personnel from the risk of dropped objects, Rigmar’s multi-disciplined teams execute inspection campaigns in accordance with Class-approved procedures, industry guidelines and client requirements. 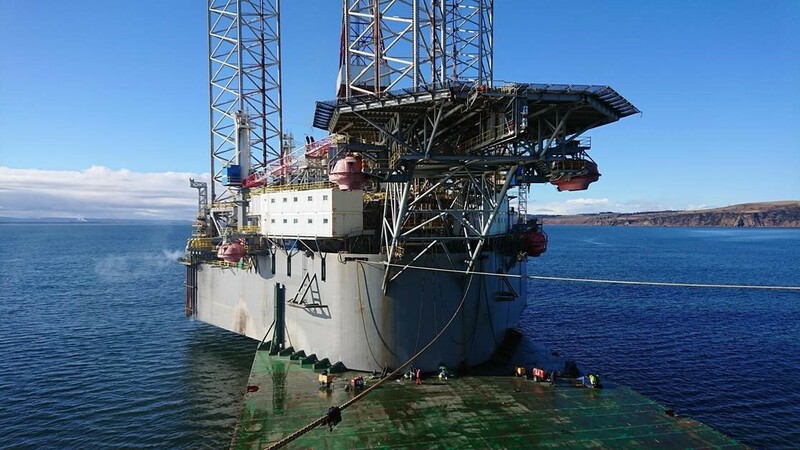 Rigmar’s inspection services are utilised across many industries including drilling, wind energy, oil and gas production and processing, and maritime transportation, often requiring the use of specialist techniques such as rope access, in which many of our inspection personnel are trained, certiﬁed and experienced. Our teams deploy world-wide to support client operations, working safely and eﬃciently to maximise the operational uptime of an asset. Rigmar places great emphasis on training, development and competence assurance, while investing in the latest technologies to maintain our position as a leading provider of inspection services. Rigmar maintains Approved Supplier status with DNV-GL, ABS, Lloyds and RINA, and our team follow rigorous, Class approved NDT procedures. Utilising multi-disciplined rope access qualified NDT Operators and Supervisors, we deliver quick, safe and reliable Class inspection services during renewal, intermediate and special surveys ensuring that all inspections are undertaken and reported strictly in accordance with Class Society requirements. Providing an unbiased, professional service we inspect, load test and recertify the complete range of lifting equipment and accessories, in accordance with local and international standards, such as LOLER, NORSOK, OGP, AP, EN and BS. Offering a top to bottom approach to structural condition verification and monitoring of derrick, mast and tower structures, inspection services are carried out strictly in accordance with statutory and client requirements. Providing highly proficient rope access personnel to conduct close visual and tactile inspection and assessing the integrity of primary and secondary retention, our teams proactively eliminate any potential dropped objects that are deemed to be of immediate risk. A comprehensive survey and assessment is carried out on critical stress areas of all rotary drilling, hoisting/handling equipment and tools in accordance with API RP 7G, 7L, 8B, 8C and where applicable, NS1, NS2 and DS1 requirements. Rigmar conducts detailed condition assessment inspections utilising ultrasonic wall thickness measurement techniques combined with volumetric testing to evaluate material for corrosion and erosion resulting in wall thickness loss that may affect the integrity and reliability of the equipment. Through the deployment of qualified Compex certified and experienced teams we provide a comprehensive range of close visual inspection and maintenance of Ex equipment including survey and data gathering, healthcare and audit checks. Rigmar also carries out all remedial work arising as a result of inspection and survey activities, from replacing steel and pipework to prefabricating and installing replacement structures, including all subsequent NDT inspection and the application of preservative coatings. Rigmar provides a variety of methods to deploy inspection services including rope access, Unmanned Aerial Vehicles (UAV) and Remotely Operated Vehicles (ROV). Rigmar uses web-enabled software to provide clients with instant access to all inspection reports and registers. The reporting system supports the use of RFID tagging to aid traceability and increase efficiency during subsequent surveys. Rigmar has built a strong reputation as a single source provider of support services throughout an asset’s life-cycle. We deliver the highest quality from inception through execution to completion. We work closely with clients, giving them the full benefit of our knowledge and resources to provide a tailored service that suits their individual needs. Rigmar provides multi-disciplined teams of highly experienced personnel with the appropriate knowledge, training and certification.